Sydney is a running city and with its temperate climate I don't blame Sydney's city slickers for getting out there and hitting the pavement. It seems there is always some kind of running event going on every second or third weekend so I've hunted down some of the best. 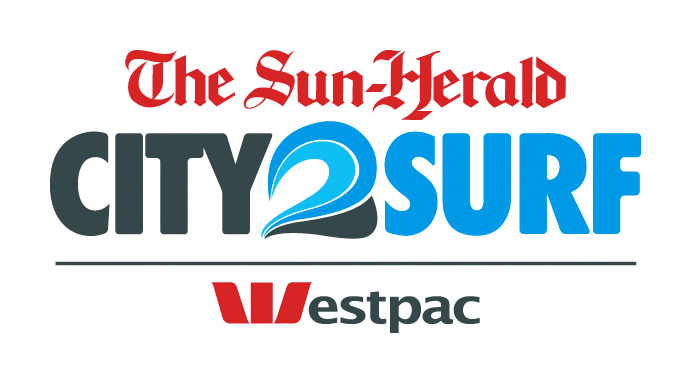 City To Surf - Where better to start than with one of Sydney's most popular runs. This is the perfect run for challenging yourself, attracting both serious runners and community participants who choose to either run or walk the course. Starting in Hyde Park this track heads towards the beaches. Navigating the hills of Bondi is what makes this run tough. Heartbreak Hill sure is a killer but the satisfaction of arriving in Bondi and crossing the finish line makes it all worth it. The course is 14km and about two-thirds the length of a half marathon. After finishing the race why not embrace those post exercise happy endorphins and spend some time in this beautiful location, grab a juice and relax on the beach or head to a nearby café for a refuelling lunch you have earned it. This race happens on the 10th of August and is open for entries now. Color Run -The colour run is just good old fashioned fun, inspired by the Indian Holi Festival. Being hailed as the 'happiest 5km on the planet' you would be mad to not want to get involved. This is definitely something anyone can do young or old it doesn't matter; no one here is taking themselves too seriously. 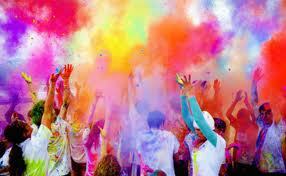 If you are someone who doesn't normally associate the word fun in front of run then the color run is for you. As the name implies it will be colorful although you don't necessarily need to run. The Color Run is a 5km walk, run or crawl if you have too, where at each kilometre you are blasted with a different colour of paint. The dress code is all white for obvious reasons and you are supplied with your own paint bags to blast friends with. Starting out white you arrive at the finish line with a new multicolored outfit and if you are lucky some colorful streaks throughout your hair. Dates for Sydney are to be announced shortly so stay tuned. Mother's Day Classic -This is a feel good fun run held on Mother's Day to raise funds for breast cancer research. Grab your mums, grandmas, sisters or girlfriends and head down to Hyde Park. All fitness levels are encouraged with the option to choose a 4km walk or run or an 8km walk or run. It's a great way to spend mothers' day and you can also choose to fundraise for breast cancer research. The colour theme is a definite pink, spotting people in pink tutus, pink onesies or even sparkly pink hotpants it seems anything goes as long as it's pink. This is great way to bond and a great mother daughter activity to do on Mothers Day and it's also helping raise money for a great cause. Men don't be discouraged the race is open to everyone so come along and show some support for your wives, mums, sisters and girlfriends. Just as long as you stick to the pink theme that is. Tough Mudder - The title sums it all up. This is tough & it's very muddy. With electric shocks, muddy swamps and 12 foot walls to scale, this is definitely not for the faint hearted. The thing I love about Tough Mudder is the focus on teamwork as this is definitely not something you can do on your own. If none of your friends are game to join you but you still want to do it just join up you definitely won't feel alone on the day. Courses range from 17-21kms. While Tough Mudder is one of the more pricey ones out there it's definitely worth it. Being called 'The Toughest Event on the Planet' this is the obstacle course to end all obstacle courses. Having a bit of upper body strength definitely does not go astray here. Leave no man behind is one of the Tough Mudder mantras and when you are tired, sore and ready to throw in the towel you can count on one of your fellow Mudder's to pick you right back up again and keep going. That feeling when you cross the finish line is like no other, you have done it you have completed a Tough Mudder. Kick back with your new muddy buddies with the free cold beer on offer and give yourself a pat on the back. Tough Mudder is on all around the country. Check their website for more details. This is a great variety of different types of runs for all levels. Beware they become quite addictive. Once you do one you always want to do more.